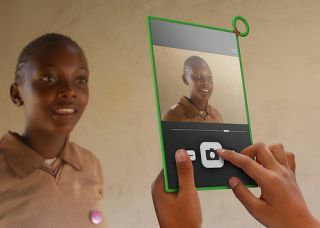 How is OLPC going to change Africa? One Laptop per Child (OLPC) has recently announced an exciting new partnership in East Africa, with newly-ambitious plans to deliver 30 million laptops to primary school children across the region by 2015. The new partnership between OLPC and the East African Community (EAC) is now looking at ways of raising the large amounts of money required to fund the laptop scheme over the coming five years. EAC represents the governments of Tanzania, Rwanda, Kenya, Uganda and Burundi. "This is a very ambitious project for which we will have to partner with various people and institutions to mobilise and fund the resources required to meet our objectives by 2015," according to Ambassador Juma Mwapachu, secretary general of the EAC. Following this latest news, TechRadar spoke with OLPC's European CEO, Walter De Brouwer to find out more about these latest developments to provide some of the world's poorest communities with affordable laptop technology dedicated to the needs of primary age children. TechRadar: Can you tell us a little bit more about the new partnership with the East African Community (EAC)? Walter De Brouwer: We already have a 'champion' country in that region, which is Rwanda. President Kagame has committed himself to this. He has really been a visionary president for OLPC. Now, as he leads the East African Community, he has been talking to all of the other countries involved (Tanzania, Kenya, Uganda and Burundi) and encouraging them all to have the same level of commitment to the OLPC project. TR: It is both a highly exciting and massive commitment to say that you want to deliver 30 million laptops in the next five years. WDB: Yes, well if you are talking about one-to-one computing and you look at the number of kids in the region, then that is the amount that you arrive at. So spacing it over a period of five years is certainly doable. We have done the calculations and if you look at giving one child a laptop – and take into consideration all the necessary server and connectivity costs – then it would come to less than $1 a week over a five-year period. So if you spread it out like that – and we have institutions that can help us do this like the EU, like the World Bank and many others – then you are really setting up the 'intellectual infrastructure' across the region. TR: So what is that $1 a week that you mentioned? How do you calculate that? WDB: Well we calculate that you would need $250 per child to provide them with an XO laptop (inclusive of deployment costs, electricity, servers, connectivity and so on). So if you are budgeting for a $1 a week per child then you are really on target there, because you have to take those things like electrification and connectivity into account. These are problems, but they are not insurmountable – as we have already seen in some African countries. There is the willpower, if something happens, they put in electricity. And there are always e-government services that we can adapt for improved connectivity. As long as things move – it is the law of increasing returns. TR: Practically, in terms of who is going to raise those funds, the EAC has apparently already contacted President Obama to see if the US can provide financial aid. Who else are you working with? Who or what are the other partners that can provide this money needed to make it happen? WDB: Well apart from the US, we are also asking for help from the EU, where there is a new Commissioner for Development – so we are trying to see what is possible there. Also, we are working with the individual member states of the EU, to see if they can help. If some member states support us, then the EU supports us through their aid programs. We think that combining all of these efforts should find funding for the initiative. TR: And what are the long-term benefits for the US and the EU to invest in OLPC – to the degree that you require? WDB: Well, let's first be clear. It is not investing 'in' OLPC, it is an investment in one-to-one computing. It is basically setting up the educational infrastructure. The problem that we have in several countries in Africa is that you really have to think a bit beyond the laptop, beyond the computer itself, in terms of – what do we have to do? There are vast amounts of land where there is no schooling, where there are no teachers, no buildings – how are we going to try to solve this over the course of a couple of years? It requires a completely different approach. What OLPC thinks is that 'education' should be replaced by 'learning' – and that by giving each child a laptop and organising this we are also counting on community involvement, that something else should come from this. We want to start these developments, because otherwise nothing will happen. Current page: How is OLPC going to change Africa?